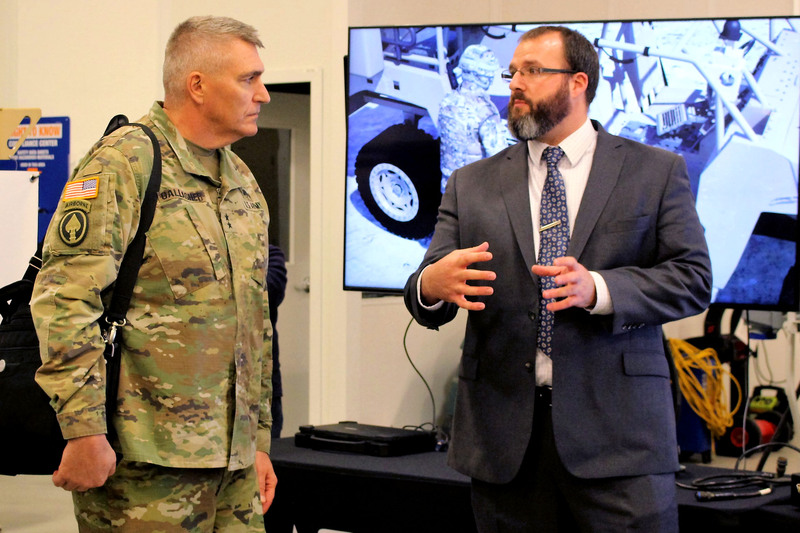 As CERDEC explores and tests technologies to modernize the command post, the focus is on keeping the commander close to the battle, and the warfighting information close to the commander. Commanders on the modern battlefield will face peer and near-peer adversaries employing a combined-arms attack to disrupt both the physical and electronic capabilities of their command posts. Their maneuver operations will span multiple, complex terrains including deserts, jungles, sub-terrains and highly populated cities. At times, these missions will include coordinating with other commanders in offensive and defensive operations across the multiple domains of air, land, sea, space, cyberspace and other contested areas such as the electromagnetic spectrum. The counter to these complicated scenarios is an expeditionary force equipped with technologies that allow it to attain a lethal advantage, elude the enemy and rapidly execute missions whenever, from wherever. These mobile capabilities must be as robust as, or better than, those found in a traditional command post. They must free up the commander from mundane tasks such as reading process documents or locating areas of interest on an acetate map, tasks that could shift the focus away from his intent. Most importantly, commanders must have access to these technologies quickly. Adversaries are not waiting for a fair fight, and neither are we. 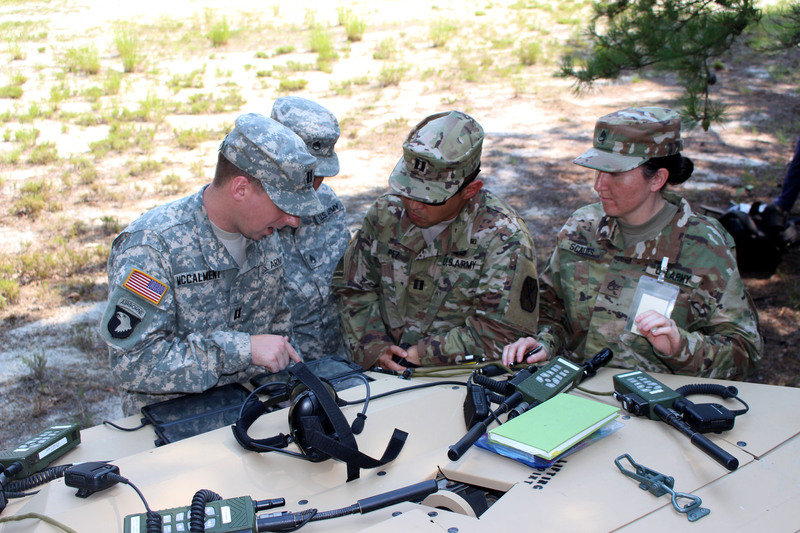 The U.S. Army Materiel Command’s Communications-Electronics Research, Development and Engineering Center (CERDEC) is leading the Army’s modern command-post capability development efforts in collaboration with the U.S. Army Training and Doctrine Command. It has developed multiple capability demonstrators that are changing the dynamics of the traditional command post by untethering commanders and providing them with the same or better capabilities than they had with their stationary, networked mission command systems. Large, fixed buildings and tents are giving way to flexible, intelligent and on-the-move command post capabilities. Software systems are allowing mobile collaboration across echelons. Process workflows are automating steps to help commanders make decisions. “Smart” advanced human-computer interfaces are on the horizon, such as hands-free speech, gesture and eye command technologies. 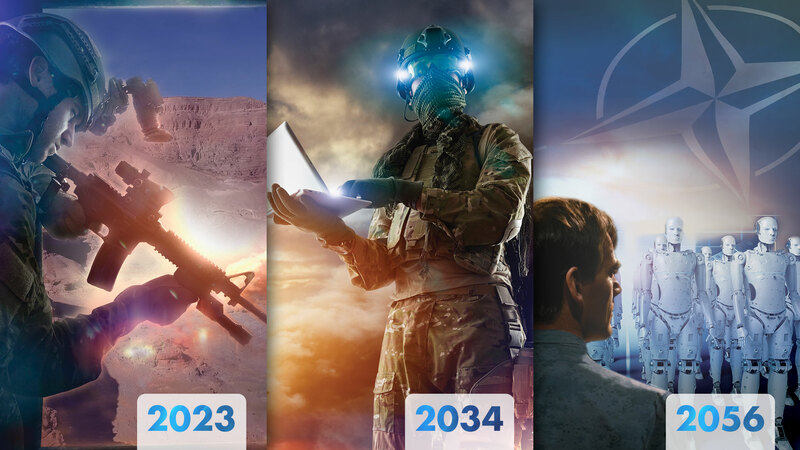 Modernizing the Army’s technologies has always been the driving force for CERDEC; every thought, design and prototype is created with tomorrow’s warrior in mind. The Army’s vision for the Command Post 2025 and Beyond aims to improve maneuverability, agility, lethality and precision. CERDEC’s Expeditionary Command Post Capability program is helping to inform Command Post 2025 concepts while supporting the Command Post 2040 Strategy, which focuses on survivability and effectiveness. 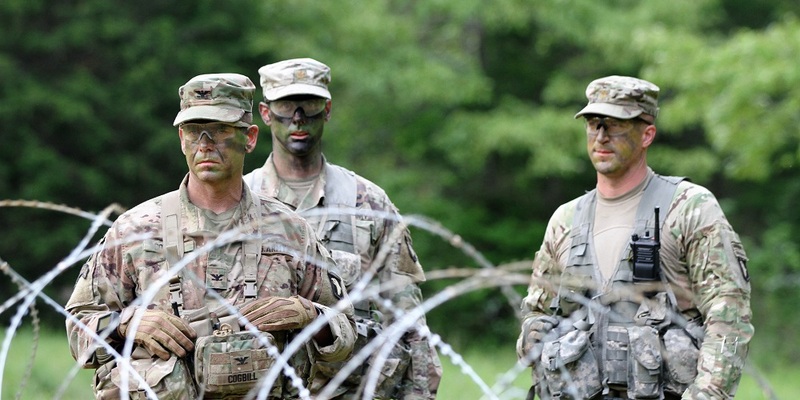 However, innovation for innovation’s sake never reaches the Soldier; the key to successful innovation is to keep operational utility at the forefront through hands-on evaluations by Soldiers. CERDEC develops, fabricates and integrates command post technologies at its Command, Control, Communications, Computers, Intelligence, Surveillance and Reconnaissance (C4ISR) Prototype Integration Facility. Through an iterative development process, each capability ends up in the hands of Soldiers for evaluation and feedback—from active and retired commanders down to infantry foot Soldiers—to ensure that the technology is relevant to the modern Soldier. 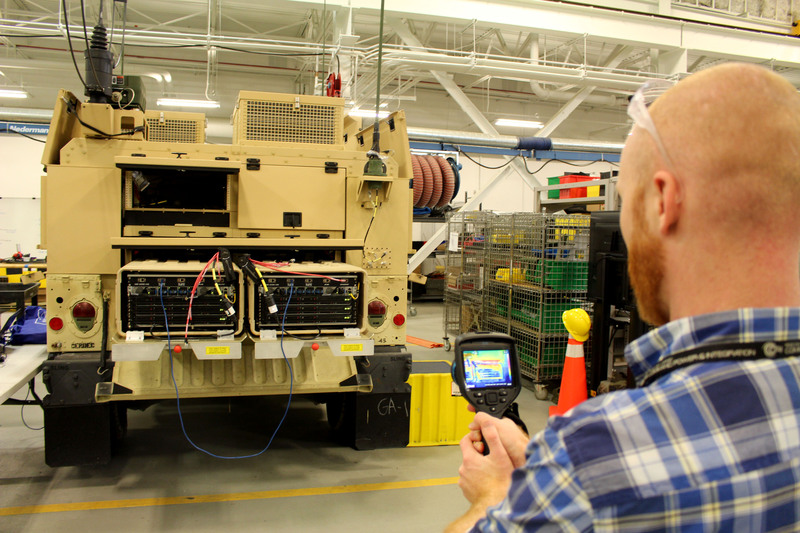 With this “build a little, test a little” approach, CERDEC’s command post prototypes and technology demonstrators are already helping the Army meet its modernization priorities by reducing the development process from years to months. The Army’s new cross-functional teams, designed to expedite capabilities that will address near- and long-term warfighting challenges, most likely will look to an iterative development approach to rapidly deliver new technologies into Soldiers’ hands. CERDEC is providing representatives to two of the eight teams, each of the two designed to address the Army’s network command, control, communication and intelligence (C3I) priority. All cross-functional team leaders report directly to the undersecretary of the Army and the vice chief of staff.The C3I cross-functional team is focusing on a unified network transport layer, joint and coalition interoperability, a mission command application suite, and command post mobility and survivability. CERDEC’s representative is providing input into mission command applications and command posts. The second network-related cross-functional team addresses position, navigation and timing (PNT). CERDEC’s significant contributions to the Program Manager for PNT led to its inclusion in the PNT cross-functional team, where several representatives will help to shape this critical mission command capability. CERDEC is designing expeditionary command posts that allow commanders to forgo their traditional “offices” and command from wherever, seamlessly and effectively, like many of today’s workers who do their jobs with a computer or handheld device and Wi-Fi. CERDEC has delivered, or is in the process of delivering, command post demonstrators to several Army units for evaluation, including III Corps, XVIII Airborne Corps, 82nd Airborne Division, 101st Airborne Division and 1st Armored Division. Developed mostly for brigade and below, each demonstrator meets expeditionary criteria, meaning it will support forces that are task-organized and deploy on short notice to austere locations, thus allowing them to conduct operations immediately upon arrival. The most comprehensive vehicle demonstrator, primarily designed for the battalion level, is the Light Mobile Command Post (L-MCP). The L-MCP is a High Mobility Multipurpose Wheeled Vehicle (HMMWV) that features a quick-erect tent; a rollout, integrated standing-height table; chairs; semi-rugged large-screen displays; tactical network components; and converged voice communications and mission command systems. Together they form a tactical command post. For infantry brigade combat team formations that specialize in initial entry operations, the Ultra-Light Command Post uses a Polaris DAGOR, a tactical off-road vehicle platform. Its baseline package supports multiple mission types and includes radios capable of voice and radio cross-banding, which allows two types of radios to send and receive communications, friendly force situational awareness, tactical messaging and full-motion imagery, all while at-the-halt. Modern warfare is shifting the fight from deserts and heavy foliage into megacities. The newest and lightest command post demonstrator, the Light Tactical Command Post, supports even smaller entry missions, such as special operations, in which troops may only have minutes to enter and exit. The Light Tactical Command Post is built on top of a Polaris MRZR-4D, an even lighter utility task vehicle used by Army initial entry forces to provide increased mobility, range and command and control. CERDEC has also delivered a shelter for evaluation. The shelter is not on wheels but can be sling-loaded to provide more mobility than a traditional command post. 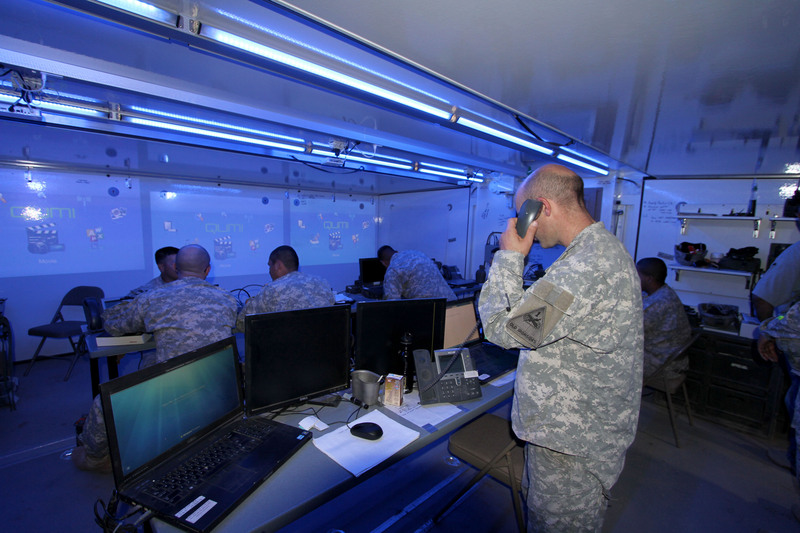 The Expeditionary Battalion Command Post includes worktables, projectors, laptops, mission command systems and a preconfigured interior with power and internet to establish the current operations cell. Commanders must have the mobility to command right alongside the fight, instead of staying back in a traditional command post to gain access to the required situational awareness technologies. The Tactical Computing Environment (TCE) provides seamless mission command capability for the commander and staff across all echelons from garrison to the dismounted Soldier. Observer coach trainers assigned to the National Training Center at Fort Irwin, California, recently evaluated the TCE as their team exercise control tool and have requested additional opportunities to use the tool based on initial positive feedback. The TCE allows Soldiers to travel on foot and in vehicles while using tablets, laptops and other mounted and dismounted computing devices to access two modes of collaboration: mirror and extend. Mirror mode allows leaders to communicate with their geographically dispersed staff, with each user viewing the same map and any changes made to the map. The extend mode allows nearby users to place their tablets together in a grid to form one large screen as an alternative to the large video displays traditionally found in fixed command posts. The TCE device retains the map layers created in the planning session even after the Soldiers disperse. Nothing takes the “expeditionary” out of a command post like the slow process of setting up servers and computers. CERDEC’s newest demonstrator is the Command Post Platform – Improved, which is a HMMWV integrated with multiple servers and a unique cooling system designed to move with other command post elements. The Command Post Platform – Improved, which will support an entire brigade’s server needs, is ready for Soldiers’ use within five minutes of stopping versus the 30 to 60 minutes currently required to transport the HMMWV’s servers into the command post and make them operational. 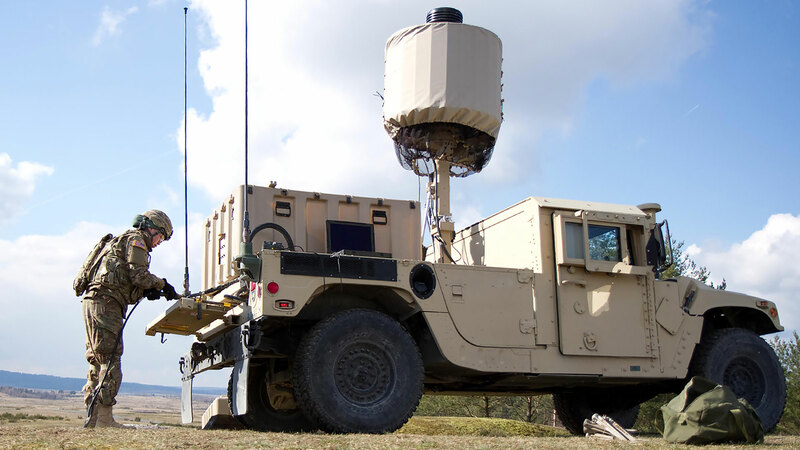 CERDEC plans to transition future versions to a completely wireless capability. In addition to the time required to set up command servers, hauling the heavy equipment required to run the display screens takes up valuable space. CERDEC’s Display Viewer app runs on any device in the command post and allows Soldiers to display and share workstation screens on multiple displays. The app eliminates the need for the heavy video switch and the transit cases, which reduces the command post’s footprint by 152 pounds and 9.5 cubic feet of equipment per display space. CERDEC transitioned this technology to the Program Executive Office for Command, Control and Communications – Tactical (PEO C3T), in part to ensure information assurance compliance. From this change, PEO C3T claims more than $70 million in cost avoidance, the dollar amount that would have been required to replace every video switch and transit case. Technologies that seemed futuristic even a decade ago are now obtainable for consumers. CERDEC’s command post modernization efforts are exploring intuitive, autonomous solutions to ensure overmatch for future combat missions. Hands-free technologies specifically align with missions on-the-move—not just as a convenience, but for when Soldiers may be fighting for their lives. CERDEC’s Single Multimodal Android Service for Human Computer Interaction (SMASH) application is a lightweight software solution that enables voice interaction with mission command capabilities. This entirely government-owned app gives mounted and dismounted Soldiers the ability to traverse treacherous environments and speak commands such as “display overlays” or “move map to the right” without looking away or putting down a weapon. The SMASH prototype is currently integrated into a Soldier-worn heads-up display developed within CERDEC’s Night Vision organization, and is under evaluation within the PEO for Soldier as a capability integrated into the Nett Warrior device. Planned enhancements include speech-to-text capability, which would allow the Soldier to create a text message using his or her voice, and gesture- and eye-tracking interaction for environments not suitable for traditional mouse and keyboard peripherals. CERDEC is also exploring predictive mission recommendations that automate the Army’s military decision-making process in the same way that TurboTax automates personal income tax preparation. The Automated Planning Framework prototype features a workflow that allows commanders and staff, co-located or dispersed, to run through the decision-making process to analyze courses of action for maneuvers, logistics, fires, intelligence and other warfighting functions. Commanders and staff can click on the steps and tasks with the process and receive graphics embedded with Army doctrinal data, a common frame of reference for military decision-making, to plan their actions. Without an automated capability, commanders must read through warning and operation orders and manually map the information against graphics. Streamlining these steps promises to speed up the commander’s decision cycle in planning the battle. 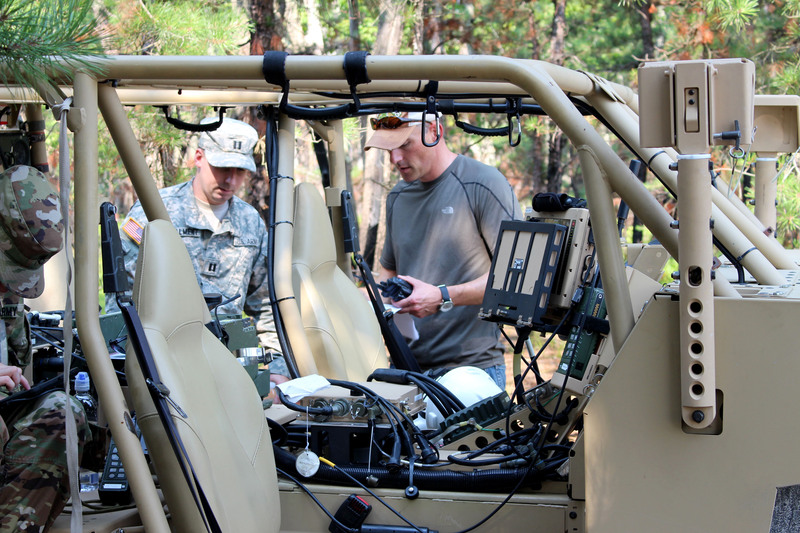 A partnership between CERDEC and PEO C3T eventually will bring the Automated Planning Framework out of the laboratory and into the field, where it will become an application that rides on the Command Post Computing Environment (CP CE) user interface. CP CE v3 will begin to provide an integrated mission command capability with a common look and feel across the command post, its platforms and echelons. For this reason, the modern command post will no longer be a post, or a complex, at all. Instead, it will encompass an array of flexible and expeditionary capabilities that allow the commander to command seamlessly from anywhere and make decisions at the speed of battle. CERDEC will continue to develop expeditionary command post technology demonstrators that are operationally relevant and can be transitioned to Soldiers quickly. Achieving overmatch on the battlefield will be complicated, but mobile and agile capabilities will help U.S. and coalition forces survive and dominate. For more information, go to www.cerdec.army.mil. LISA HEIDELBERG is a division chief with CERDEC’s Command, Power and Integration (CP&I) Directorate. She holds an M.S. in software engineering from Monmouth College and a B.S. in computer science from The College of New Jersey. She is Level III certified in engineering and program management. KATHRYN BAILEY is the public communications adviser for Decision Engineering Inc., assigned to CERDEC’s CP&I Directorate. She holds a B.A. in communications from the University of Maryland University College. This article is published in the April – June 2018 issue of Army AL&T magazine.